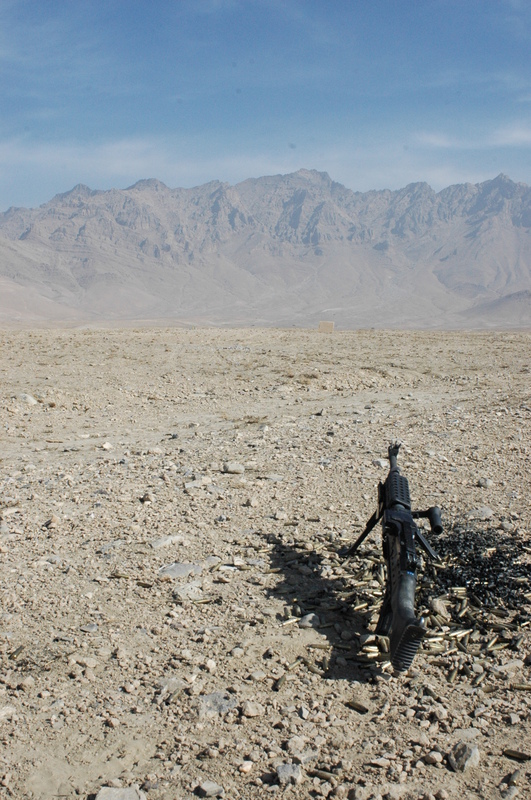 The range, the rounds and a renewed perspective. 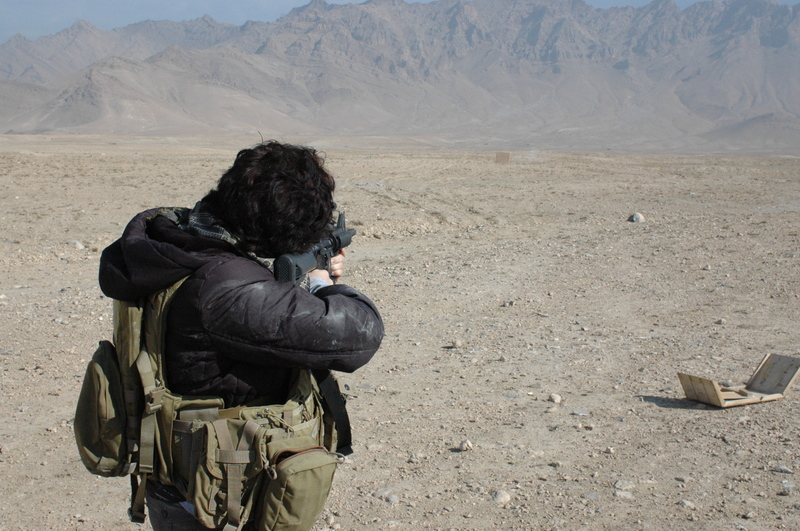 I accepted the invitation to go to the range with the Task Force and I must say; it was a range like no other. TFC (remember him) gave a convoy brief. I rode with Greg, one of the few contractors I’m comfortable leaving the wire with. He’s a reservist, SOF (special operations forces) guy who is always armed, drives like he’s Mafia and has a family in Florida he’s determined to see again. All of that to say, I’m safe when Greg’s driving. So we left for the range at 0730. It was out past Ghar Mountain. 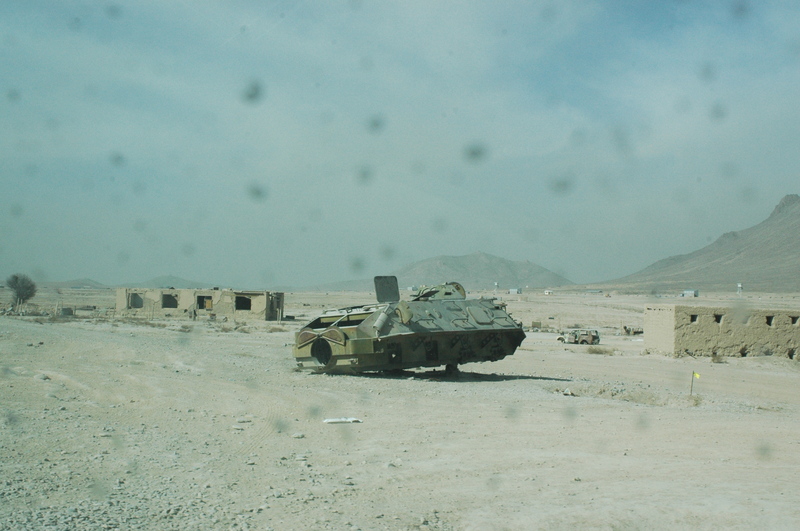 Once we were aboard Kabul Military Training Center we left the paved road (paved is a subjective term) and headed deep into the training area. I was again struck by how much the place resembled the Combat Center. Please ignore the dirty window; you can't roll them down in an up armored vehicle. This was one scene on the way to the shooting area. 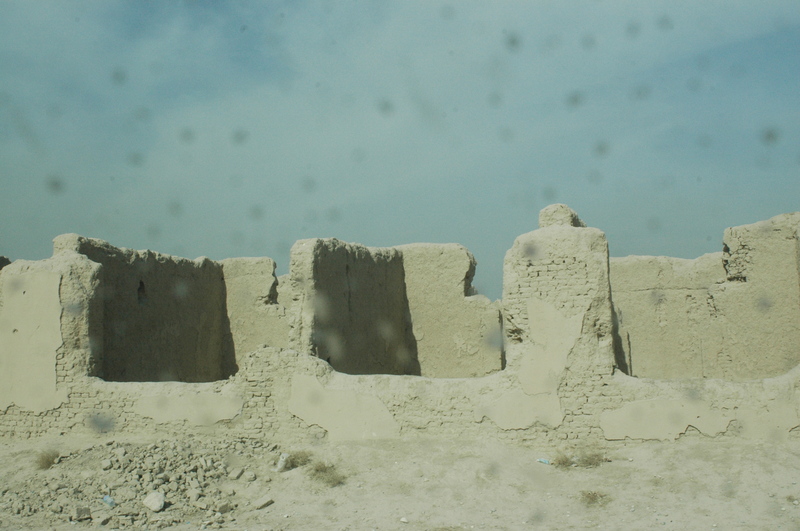 These structures seem to be left over from a village. Once we got to the ‘range area’ I understood a bit more. 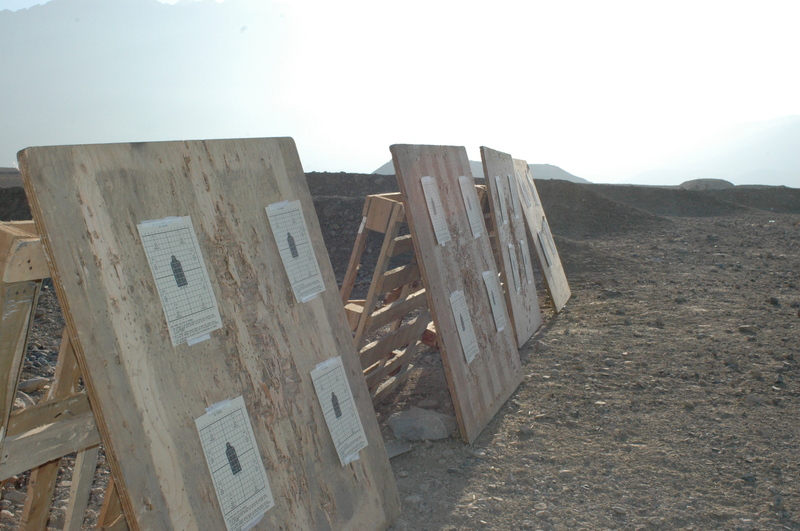 We actually brought wood and paper targets… and commenced to building our own. 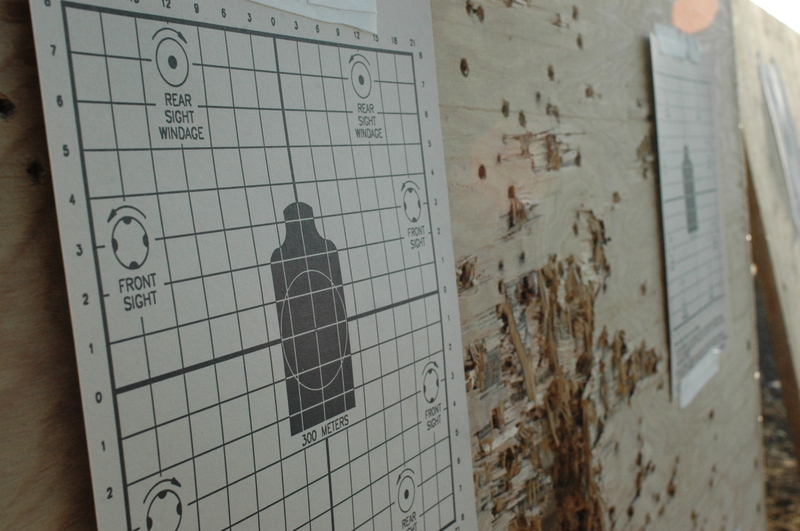 Taaaaargets, get all your targets... taped to the board. As we unloaded the gear for the targets SSG K asked where the ammo was. That set off the TFC with a string of things I won’t repeat here. It was quickly determined no one packed the actual rounds. You know I laughed out loud as I helped unload everything we needed for building targets. Someone went back to get the ammo (which meant two vehicles and four people made a 70 minute round trip back to where we’d started. I turned to taking photos once the gear was unloaded. That's TFC wielding the hammer (and swearing at anyone who will listen) as we set up the target line. A stack of pallets, roll of medical tape, targets, and some patience and viola! we have a target line. Our safety brief’d included the requirement for Soldiers to stand guard the entire time we were on the range for the sole purpose of keeping children from interfering with the training and or getting hurt. Specifically we needed to keep hem away from the vehicles (they’d steal anything they could carry away) and the firing line (they collect the spent brass casings and sell them. Remember, it was a live fire range; not a meet and greet with the locals. Sure enough, the soldiers on the perimeter had to stay alert and constantly shoo the kids away. They pushed the limits and I noticed a group of kids standing within reach of one of the younger Soldiers. 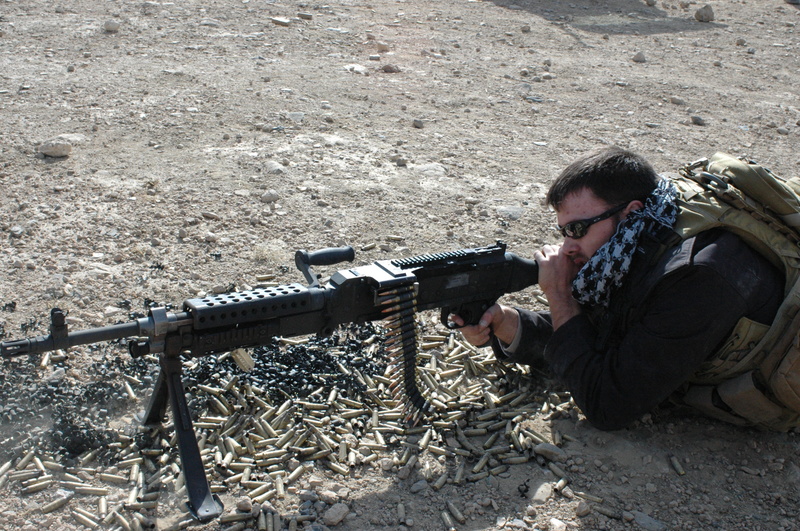 They were actually touching the equipment he was wearing… so SSG K approached and told them, in Pashto, to go away. One of the braver boys responded, in Pashto, and told SSG K to go away. (I laughed again but on the inside this time) SSG K used a few strategically placed three round bursts to make his point and, for the rest of the day all he had to do was look in the direction of a crowd who’d moved too close and they immediately dispersed. (We brought a native Pashto speaker with us to help keep the kids at bay but he was less than effective–I realize it’s hard. They’re kids, they’re curious and they wanted the brass. 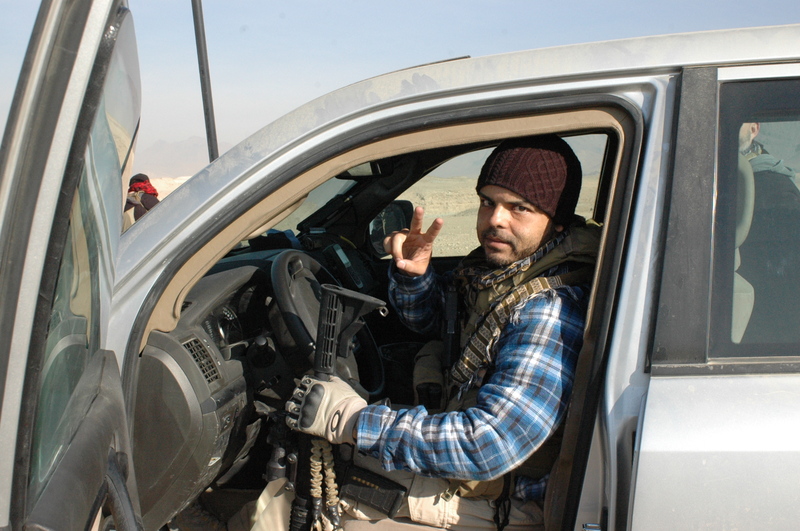 SSG C after he returned from retrieving the ammo. This is the first time I've seen him without a smile. 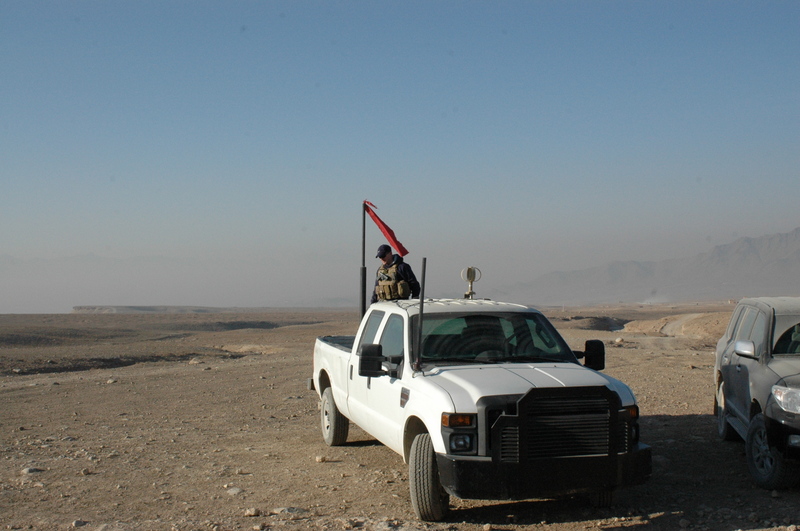 The ANA Range Control guys drove out to our site several times to ensure we were in compliance of the regulations. (Does ANYONE else see the irony here?) The second visit included them telling us what time they’d be back to police the brass. Seems they wanted to recycle it for profit instead of letting the kids do it. A red flag denotes a hot range everywhere, it seems. With a magazine and three rounds, load! Do I want to shoot the M240? Duh. 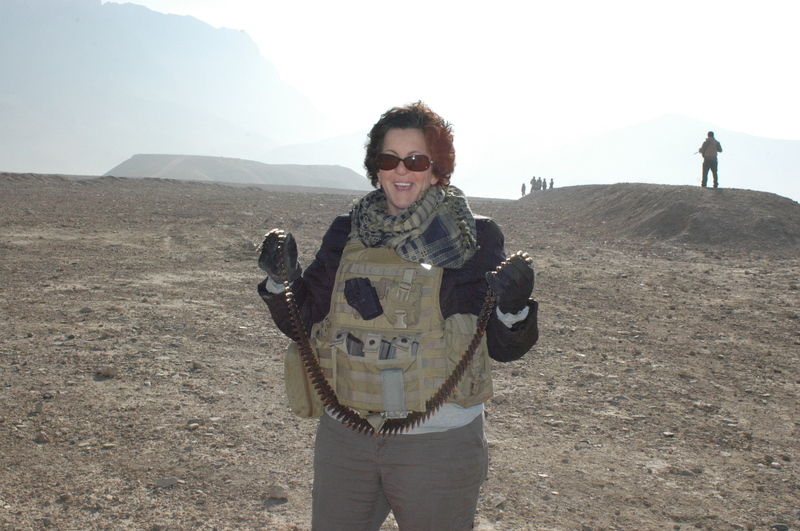 Actually, I was hesitant because I didn’t want to take rounds from any of the Soldiers. SSG K told me to stop being a girl so of course I rogered up. 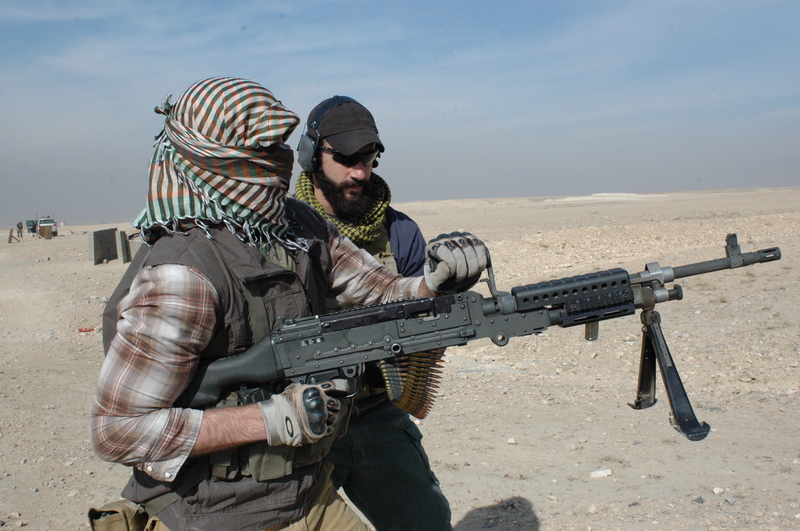 Thats me preparing to load a belt of rounds. Over my shoulder is the young Soldier who is about to be overrun with curious 10-year-olds. Have to love the fact someone else will take MY photo. It was awkward to ask at first (different when it’s a stranger; I have to see these guys every day) but now I realize, without the pics, there is no blog. (that sounds like a me monster I know.) At this point one of the guys just grabs my camera if I’m doing something and not holding/wearing it. Here I am getting ready to jump into the prone. Had to load and ride the bolt forward from the kneeling; my arms weren’t long enough nor was I incredibly agile with the gear and frozen fingers. Yes, I'm guilty of posing for the camera sometimes, too. Completely unaware of the camera here. Just enjoying the rush of 5-7 round bursts. After I fired I stayed there and wouldn’t you know it. 8 out of 10 of the guys who came to fire the M240 asked if I’d take their picture. I felt like the camera girl at Disneyland except I didn’t try to sell the anything. 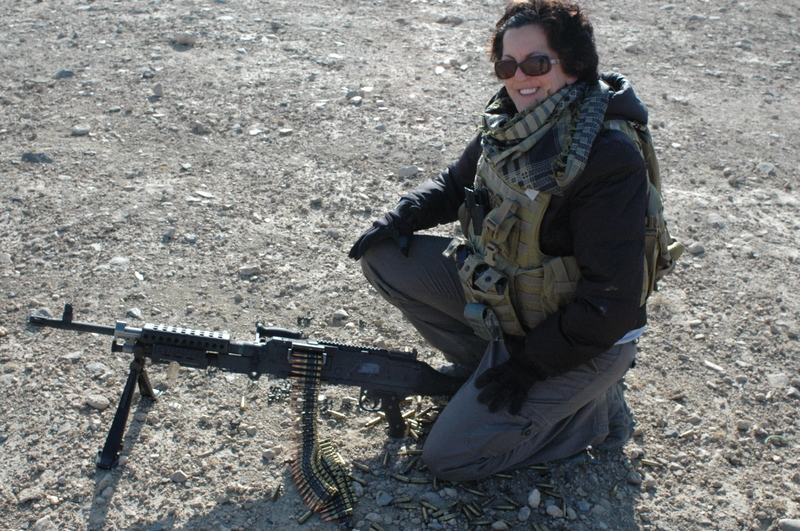 It was a good chance to get to know some of the people who don’t work in my section and who DOESN’T want a shot of them firing a machine gun? 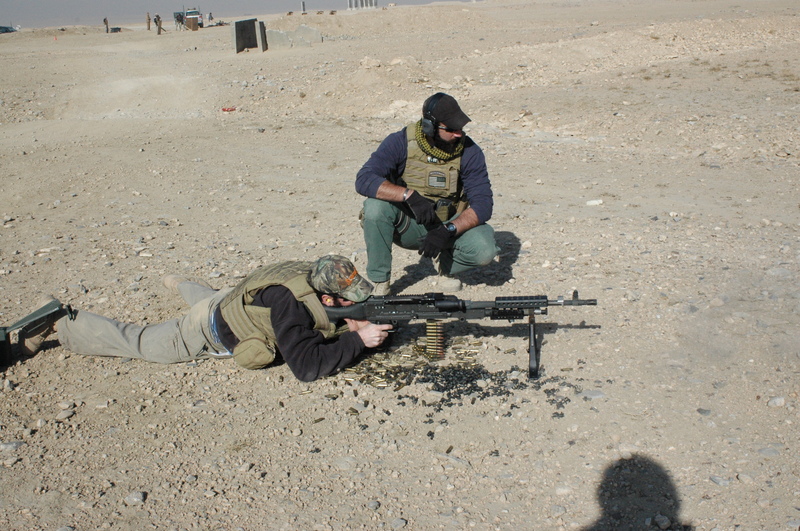 SSG K was the PMI (primary marksmanship instructor) and responsible for the M240 shoot. Behind them TFC is running everyone through quick reaction drills. At the bottom of the shot is... the shadow of my fat head. Eh, it's been a long day or else I'd edit the photos. You get the picture. Hahahahahah! Everyone who wanted a picture got something similar to this. SSG N decided he wanted to “go native” and fire from the hip. After wrapping his head in his scarf, away he went. 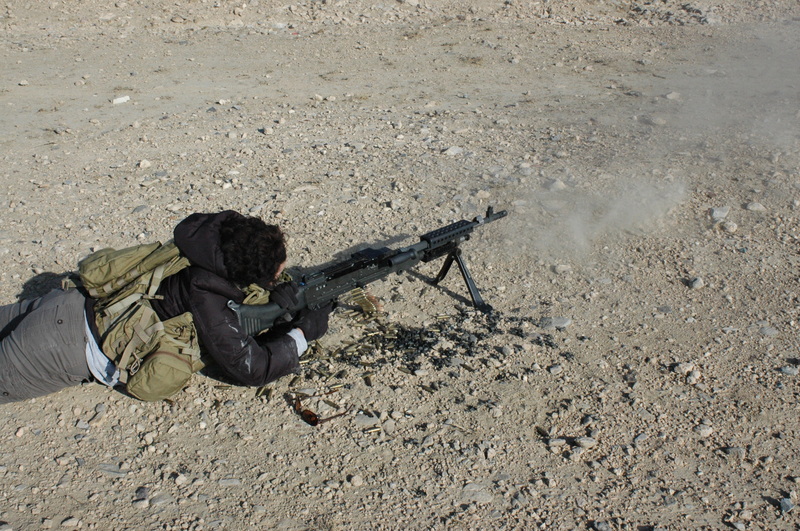 And The purpose of the shoot was to familiarize ourselves with the weapon. To each his own, I guess. In between shooters I took the chance to fire the M4. Must saw, nothing I had issued to me had red laser ‘target finders’ on it. Sight alignment, sight picture and all that. Just my attempt at an EMO shot of the M240. 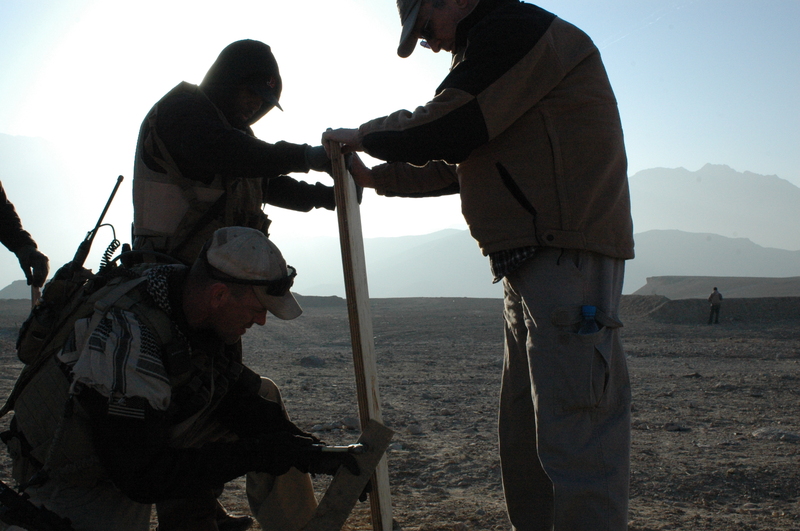 Once we were done with the shoot the ANA Range Control guys showed up to collect the brass. I’d have preferred to let the kids have it but we were on their range and needed to ‘comply’ if you will. We didn’t stand guard on piles of expended shell casings though so the kids managed to score some of it. I approached one of the ANA about taking his picture and he gestured wildly and spoke loudly enough to make it clear he did not want to be photographed. The guys all laughed at me for trying and then I handed my camera to one of them and then walked over and made it clear I wanted to be photographed WITH the ANA Soldier. He changed his mind. He changed his tune when he realized I'd be in the photo, too. Check out the placement of his arm on my shoulder; I actually had to lift it and slide sideways a bit to feel like I WASNT being hugged. Hearts and minds, buddy. No hugs. 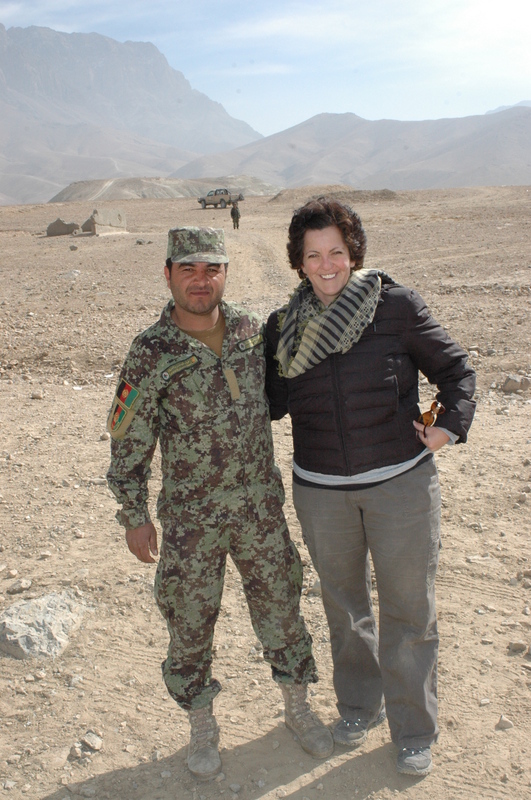 And so, as my first month in Kabul comes to a close, I’ll leave you with this. I look around at the hardscrabble existence they lead, the oft barbaric customs and the wildly oppressive beliefs and I can say with absolute certainty I’m blessed to be an American.